You've spent the time and money to create a beautiful website that reflects your vision, product, service, or brand. It is a work of art. You go into your dashboard to find out a week later that no one but you has visited your site. This little scenario is a standard reason why people hire us digital marketers in the first place. Using digital inbound marketing services is the simple and yet complex solution to get people to your website. You know content marketing works. You know social media marketing works. SEO and the inbound methodology works. However, it takes time and devotion. Newer site owners face a little more stress because they are entering a very competitive market with little content, low keyword rankings, dismal domain authority, and no traffic. Clients facing these challenges will often jump around to several digital marketing agencies because they get impatient. You need to create quick wins and PPC is the solution. I am going to assume that your site has content marketing and SEO as part of your inbound campaign package. You're are set up for future organic success, but currently your organic results aren't in the top 3 Google serp's. Let's pretend that your e-commerce website sells adjustable standing desks that cost about $1000 each. These desks are directly shipped to the customer once it is purchased, and you have no physical storefront. Obviously, the primary goal here is to get sales through brand awareness and site visits. Focus on 2-3 paid channels and crush them. In our example, you run a e-commerce site with a pretty high product price, that probably caters to a specific demographics; which means you have a variety of tools at your disposal. Personally, I would use Google AdWords Search Network with Display Select, Facebook Ads, and High Domain Affiliate Marketing. As a general rule of thumb, stick with the channels you know best and are most relevant to your goals. Because this is a new site, you aren't going to rank for organic keywords like, "best adjustable standing desk for $1000". That's the reality, you can't even rank for relevant long-tail keywords and definitely not any broad keywords. Your competitors are ranking, and it's going to take some time for your SEO team to get you to the first page of Google results. It's ok. Convince your web development team to allocate time for a customized landing page that directly compares your desks to top ranked competitor desks. Let your competitors spend money on people to perform a search, then convince the same potential customers your desk is better. At Revenue River, we call it a competitor squat. Imagine walking into a bar that sells Jim Beam for $5 but in the corner table, someone else is selling Jim Beam for $3 and Makers Mark for $4. Use the display network to also show visual ads throughout the Google Display network websites, that are relevant to your products, to also increase your reach and target the buyers. One thing to consider is the search terms report that you can access in AdWords reports, which shows you the actual search terms that people typed before seeing your ad and going to your site. Use this for good and not evil. Send it to your SEO team for maximum gains. Test out some Facebook Ad campaigns and narrow it down based on performance. Make sure your ad copy and ad image is compelling and relevant. Facebook is great because you can segment your demographic targeting. Since all the tech folk are obsessed with standing desks these days, I would start with job type, age, location, and interests. 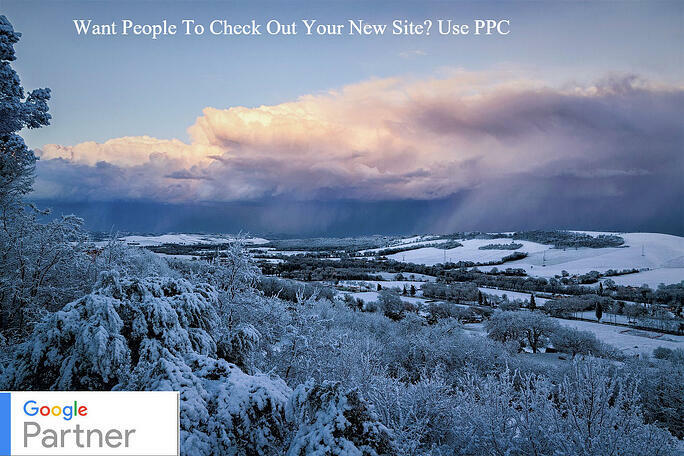 This combined with AdWords Display Ads can ensure the right people see your ads. However, it is advised to keep your initial ad campaign targeting fairly broad to create less bias in your initial research. Start general, and optimize further. Remember when you were checking out the keyword rankings earlier? Some of the top links will be "Review Sites", which are paid affiliate websites and usually these have upfront costs. Let's say the annual cost for a link in a review site that is the first result for "best adjustable standing desk for $1000" is $500. Though it's rarely this simple in reality, let's simplify this example by assuming that each desk sold gives you a profit margin of $250. If you sell two desks through that link, you break even with the investment. Let's assume you sell only one desk each month through the link. I know, there are startup costs and usually the profit margins are non-existent in newer sites. However, once your cover the costs incurred in the barriers to entry, are selling desks to make money. In the long run, affiliate marketing is absolutely worth it. When PPC campaigns run effectively and with best practices, you will get traffic through them. You will get impressions and your brand will grow. Take advantage of this traffic and brand development by merging the data you are receiving with your other inbound campaigns and optimizing the site overall. If you sit there just relying on PPC to drive your site traffic forever, then be prepared to keep increasing your PPC budget exponentially to meet your traffic demands. When you are receiving PPC traffic, create more relevant content and optimize your site to fully take advantage of your site's 'popularity'. Make sure you convey to your marketing team the value of what PPC is doing besides getting sales and traffic. Sure, in a purely monetary sense, most PPC nets $2 Revenue for $1 Spend on average. Many people only see the obvious ROI, but new sites are also getting returns on branding, site relevancy, and growing your sales funnel. Not to mention the ridiculous amount to data research and optimization you receive that can be applied to all your inbound channels. Just make sure you keep adjusting and have a solid awareness to what you are doing and why. The quick PPC results for your team will keep stakeholders happy long enough to give your other departments some time to get their quick wins. When it comes to a new website, a PPC campaign is absolutely worth the investment. A paid campaign brings your website into the customer awareness arena and the data you can receive is worth paying for. If you are running a full digital marketing campaign for your website, this gives your other departments the opportunity to get more quick wins to follow up with.